One of the nice things about being a savory pastry geek, is that when you have an opportunity to bring an appetizer to a party, you’re prepared!! 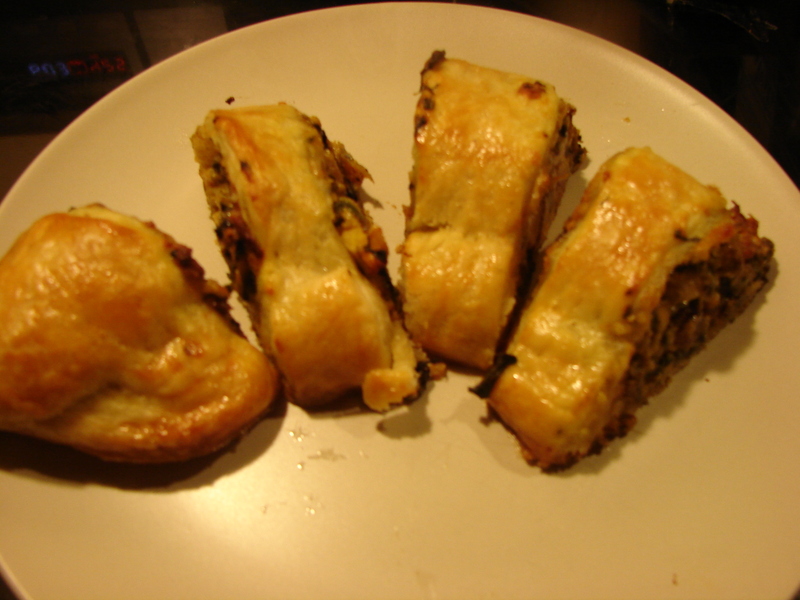 These are loosely based on the good old-fashioned sausage roll, in construction at least. But the filling is a lovely blend of roasted butternut squash, spinach, goat cheese and hazelnuts. A nice balance of sweet, tart and earthy. These make a nice appetizer or snack for a party. With a bowl of soup or a good salad, they make a satisfying meal. Here’s Tom Waits’ Eggs & Sausage and a Side of Toast, performed live on a TV show in 1976. And a very funny interview with him after. Look at everybody smoking!